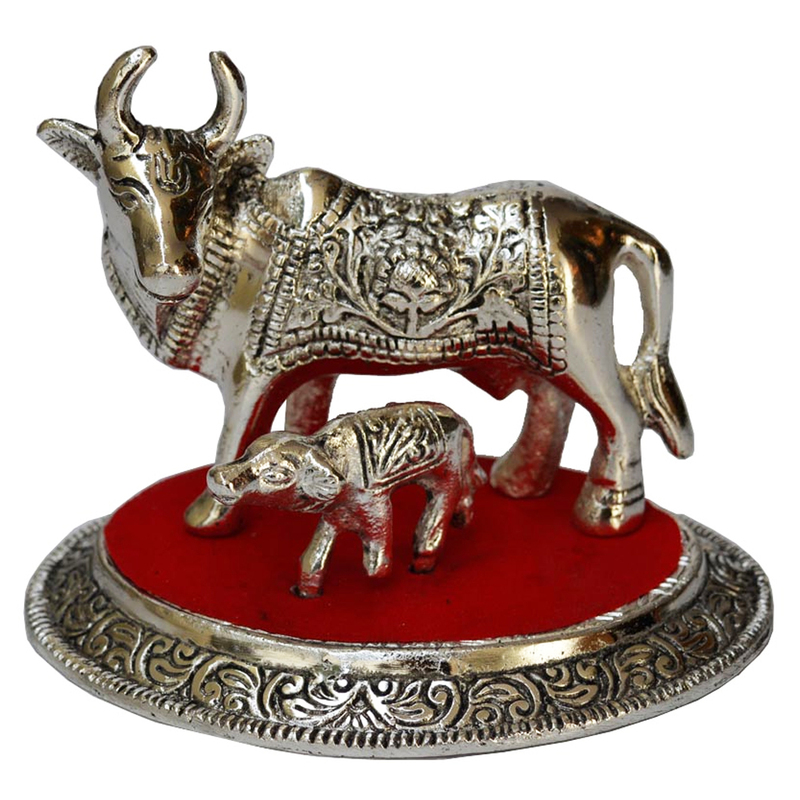 The Oxidized White Metal Cow and Calf Figurine features tiny figurines of a cow and her calf, both carved in a meticulous fashion. The intricate Read More..design work present on the back of the cow and the calf matches the sheer beauty of the carving present on the base of this piece. Therefore, this piece of art looks great from all angles, and is ideal for any shelf or tabletop. Show Less..